A different take on the traditional Comedy & Tragedy theme but with a Crazy Pig Design twist! 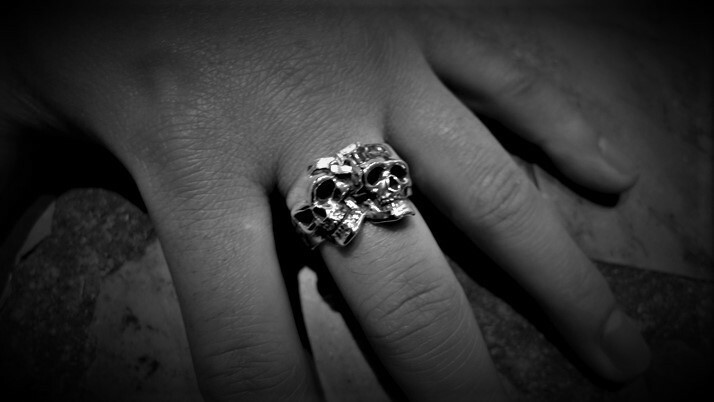 This is our Comedy & Tragedy Skull ring which replaces the smiling and sad faces with skull faces. We also do a classic Comedy & Tragedy ring, please see ref #1030. A customer favourite!